What is the one characteristic of ALL successful people? The ability to keep going no matter what obstacles – physical or emotional – are placed in your way. It is a simple formula. Persistence = Action. The more action you take, the closer you get to your goal. Now, I said it was a simple formula. Unfortunately for most of us, it is a very difficult formula to implement. Belief and Persistence go hand-in-hand. And if you don’t have massive levels of Belief in yourself and your product or service, you are vulnerable to negative self-talk and external influences. As your belief level goes, so do you. If your belief goes up and down like a yo-yo, so will your success. There’s no way around it. So if you feel that your mind plays games with you, instead of you playing games with you mind? Then this audio program is made especially for you. 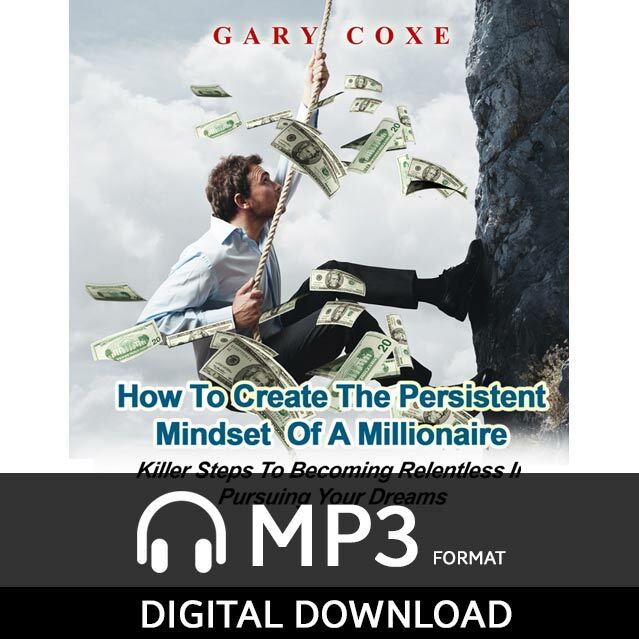 Rev up your persistence and skyrocket your success in all areas of your life today!